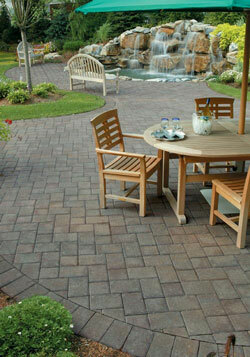 When you are looking at the value of your home or business, landscaping can be an incremental piece to that puzzle. Landscaping, in essence, can realize your dream location. 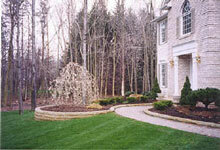 Saluppo Landscaping is focused on creating a landscape dream for each of our clients. This dream varies from client to client; therefore, our services will be tailored to meet each of those visions. Like your landscape dream, the sky is the limit for ideas and creative touches. Saluppo appreciates our clients’ ideas for their landscapes. After all, we know how important landscape is to property value and social prestige. So, we will consider the feasibility of each idea and try to make the dream a reality. Sometimes, it may be difficult to even know where to start when thinking about adding landscaping features to a home or business. Perhaps you are looking to add only one feature to a mature landscape, or maybe you would like a complete design to compliment your home or business. We pride ourselves on our close working relationship with our clients. We allow our clients to choose how involved they want to be in the process of realizing their dreams. Perhaps you have no ideas; then leave it to the experts to create a design from scratch. Maybe you have a picture of a landscape that appeals to you; bring that in to our experts and allow them to recreate the design to fit your home or business. Or perhaps you have already created an idea for your property and you just need an expert opinion to help organize the design. Whatever the situation may be, we are confident that you will find the perfect landscape with Saluppo Landscaping. Take a look at some of our ideas for landscaping, and then imagine what your property would look like with an added creative touch.